Barron's London Salon gift certificates are a great way to share your favorite salon experience with family, friends, coworkers, or anyone else who has hair! To purchase online, select a Paypal option below. A gift certificate will be mailed to the specified address. If you need to give us additional details, you can call the salon at 404-812-0032, or email us at askdavid@barronslondonsalon.com. All gift certificates are mailed within 48 hours of receipt of the approved payment from Paypal. You may also stop by Barron's London Salon in person to purchase a Gift Certificate. Your personalized Gift Certificate will be given to you before you leave. The $50 consultation fee for hair extensions, corrective color, Keratin treatments, or permanent straightening will be applied to your service. All appointments will be confirmed 48 hours in advance. We can confirm your appointment by phone, text or email. We ask that you please respond to confirm your appointment. We require a 24-hour notice for cancellation of appointments. Cancellations with less than 24 hours’ notice will be charged 50% per service. Same day cancellations or no shows will be charged 100% per service. We require a deposit to hold all appointments. Walk-ins are welcome and do not require a deposit, however availability cannot be guaranteed. 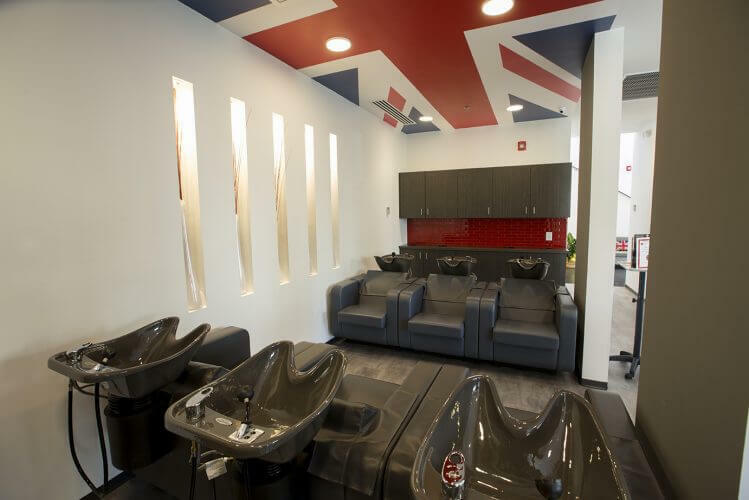 At Barron's London Salon, our Atlanta hair color specialists handle some of the most difficult color tasks on a daily basis. From matching formulas from other color lines, to covering gray, to selecting the best tones to match a client’s hair without getting “hot roots’, our color specialists are masters of their trade. 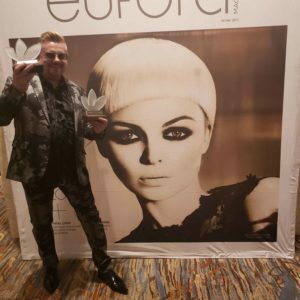 Barron’s London Salon has won many awards for hair color excellence including “Best Color & Highlights” by Atlanta Citysearch, and has been featured in many leading magazines for superior performance in all aspects of hair color services. Our premium color line gives our experienced stylists a beautiful palette of colors with both cool and warm tones from which to choose. After your consultation, your stylist will customize your formula, which is typically a blend of hues based on your specific hair needs. Our professional Atlanta hair color services have the added benefits of improving the condition of your hair by adding body to fine hair and adding shine to dull hair. Our hair color can also enhance your skin tone, add texture to a cut, or simply give extra conditioning to dry hair. The color line we use at Barron’s London Salon can actually make hair thicker and stronger by swelling the hair cuticle, which will also improve the hair structure, especially for fine hair. For gray hair coverage, our premium color line offers a separate set of colors formulated for the challenges gray hair can present. Not only does the color have superior gray coverage, but conditioning agents in the hair color can add softness and shine, as well as moisture. If you have shied away from changing your shade before, there is no better time to enter the world of color than right now! In the hands of Atlanta’s top color specialists, your hair color will look even more vibrant, with the longevity, high shine, and softness you will love. Schedule your appointment today! Also, be sure to check out our cancellation and deposit policies. Highlights and lowlights are two of the most commonly requested services at Barron’s London Salon. Our color specialists offer numerous highlights and lowlights, all of which require advanced skills and training to get them right. Natural-looking highlights are the most common client requests. We achieve this by blending tones that occur naturally in your hair, and skillfully combine those with other tones that compliment your features. The natural effect is created with a formula that is unique to you. Our second most common request is to eliminate orange tones, especially in dark hair. With experience comes the ability to lighten hair with highlights, or blend colors with lowlights without leaving hair in the orange. Finally, gray coverage is an all important factor with these services. Experience for yourself the unique way in which our color specialists can create a natural look to cover your gray. 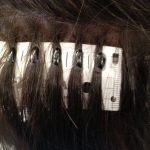 Of course, we can always create chunky and funky panels of hair at your request, so stay natural or get creative! We're balayage and ombre experts, skilled at achieving the hair color and highlights you want. Ombré is a two-toned dramatic hair color effect that is usually darker at the top and lighter on the bottom. 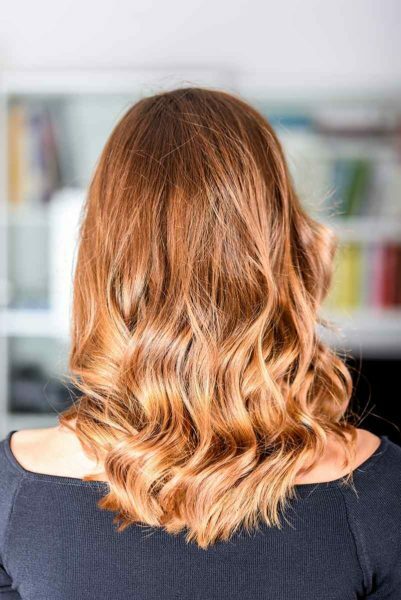 Balayage is a highlighting technique where the highlights are hand-painted or swept along the surface of the hair. Call 404.812.0032 to schedule your appointment for highlights or lowlights today.